Just sending out a quick reminder of our Summer Dance for Teens, College Students, and younger kids this Friday, July 31st. 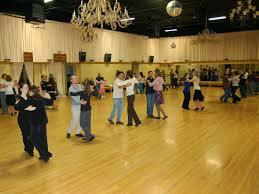 This dance is hosted by Curt & Wendy Johnson and Chris & Emily Bailey. The dance will be from 7:30 - 10:30 pm at Bailey Dance. The cost at the door will be $5 per person OR $15 per family. Dress casually (no short-shorts or super bare tops, please) and come planning to have FUN! Curt Johnson & Chris Bailey will be sharing DJ duties, so you'll get a nice mix of music to dance to, and of course, we will be planning some fun mixers. Feel free to share this info with other young people who are not normally in our dance classes. The more, the merrier! PS: For those of you planning to attend the Hoover Homeschool Ballroom Dance Class on Fridays during the school year, details are now posted on www.curtnwendy.com under "Teen Classes". Our start date is September 4th.